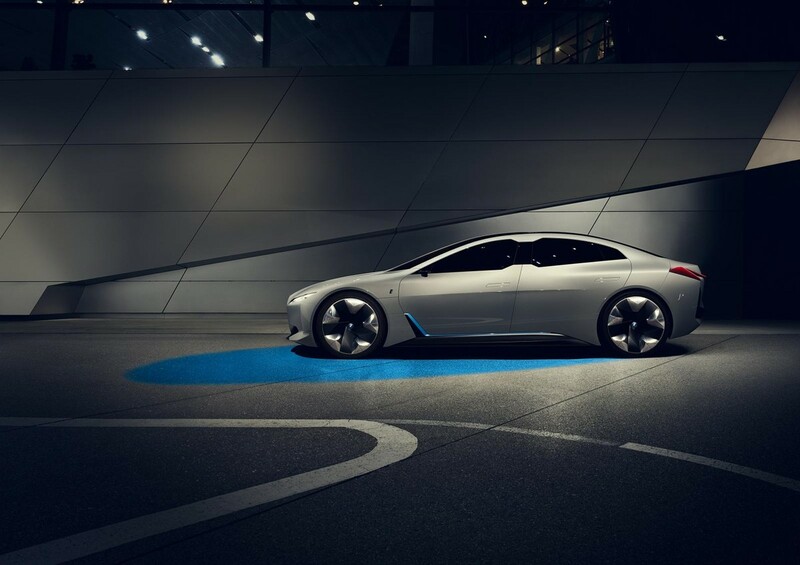 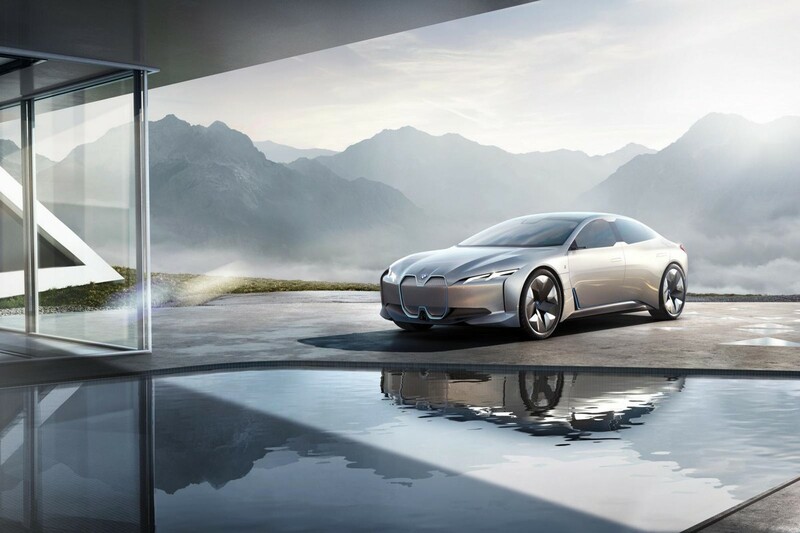 BMW is furthering its energetic foray into electric motoring with its unveiling of the i Vision Dynamics, a four-door grand coupe that is positioned between the i3 electric city car and the i8 electric sports car. 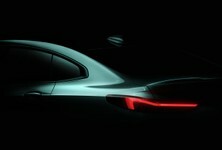 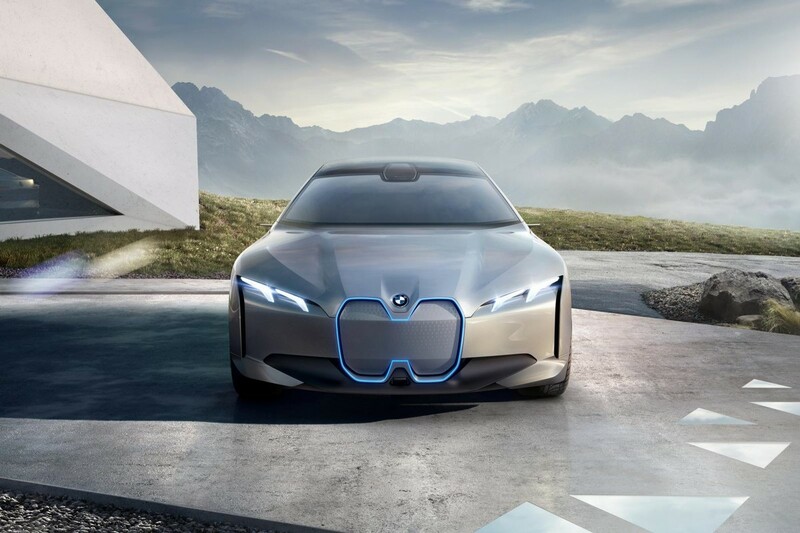 A year on from the presentation of its future-focused NEXT 100 vision vehicles, BMW is introducing electric mobility of the much more immediate future at the Frankfurt Motor Show. 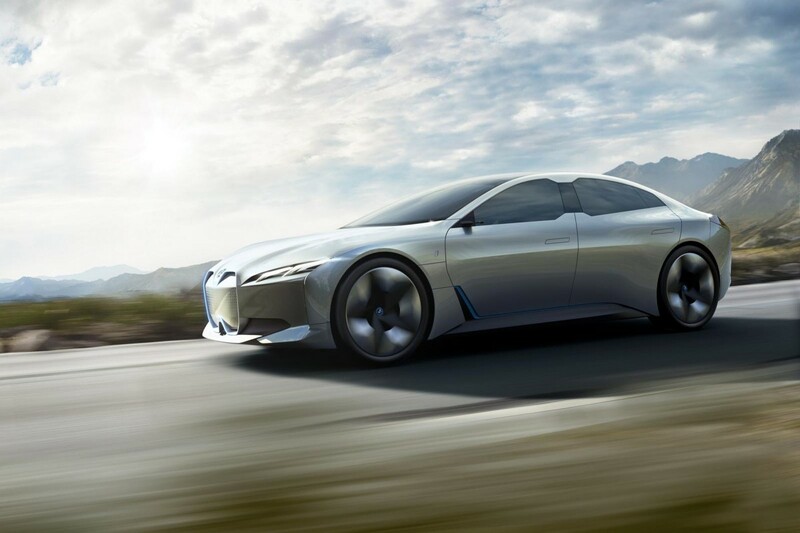 The i Vision Dynamics will go far and it will go fast: it has a range of 600 km, a top speed of over 200 kph and an acceleration time of 0-100 kph in 4 seconds. 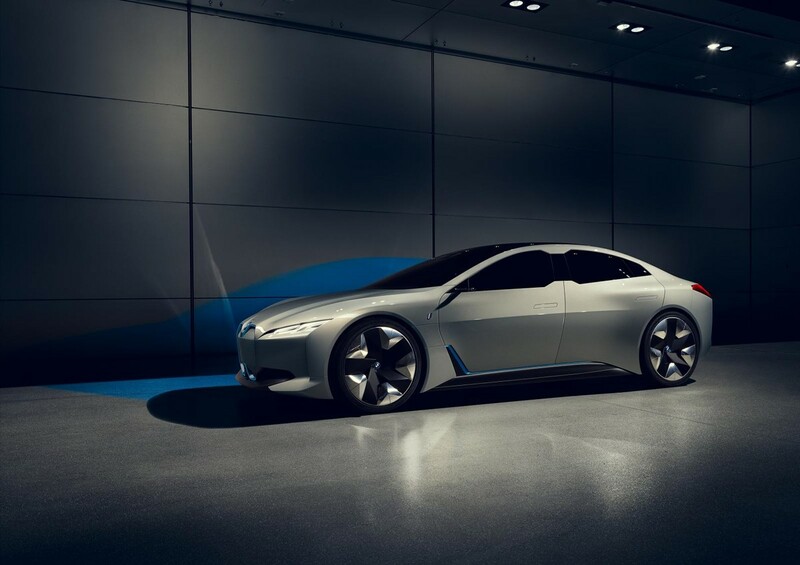 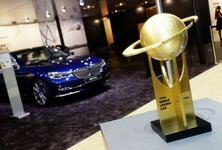 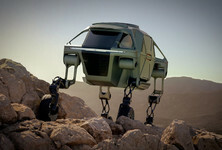 The vehicle is BMW’s way of reminding the motoring world they take electric mobility very seriously. 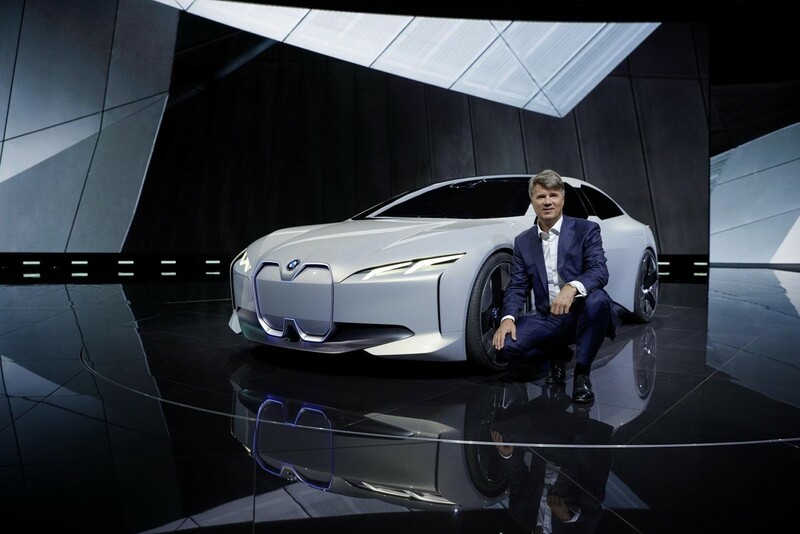 “We have more electrified vehicles on the road than any established competitor and are committed to expanding our activities in the field of electric mobility,” says Harald Krüger of BMW AG. 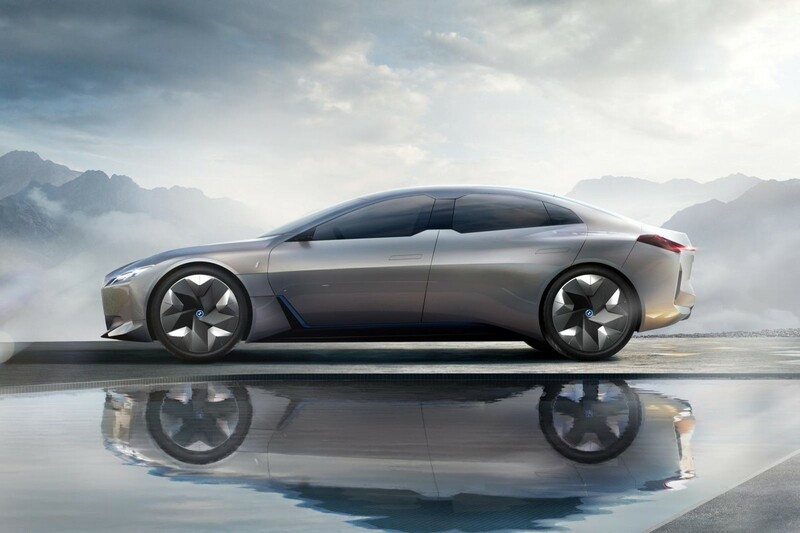 BMW hopes to be offering 25 models with an electrified drive system by 2025, 12 of which will be purely electric. 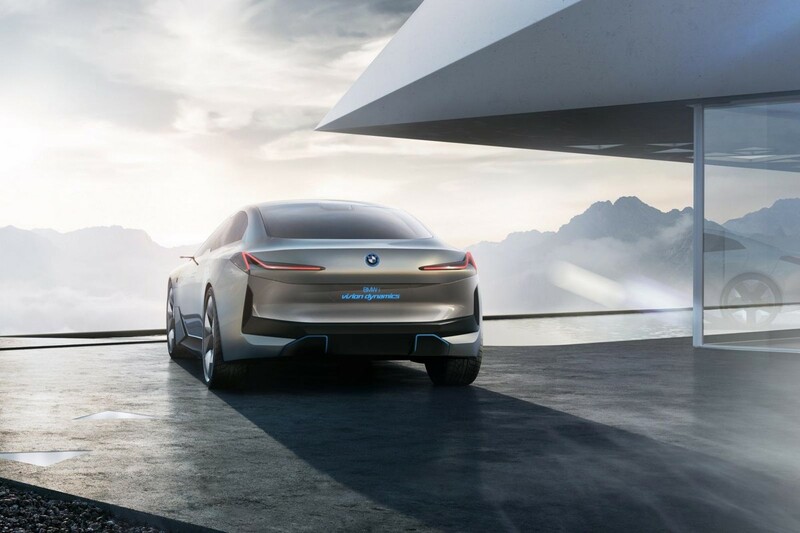 The BMW i Vision Dynamics represents an evolution of the classical BMW proportions: a long wheelbase, flowing roofline and short overhangs. 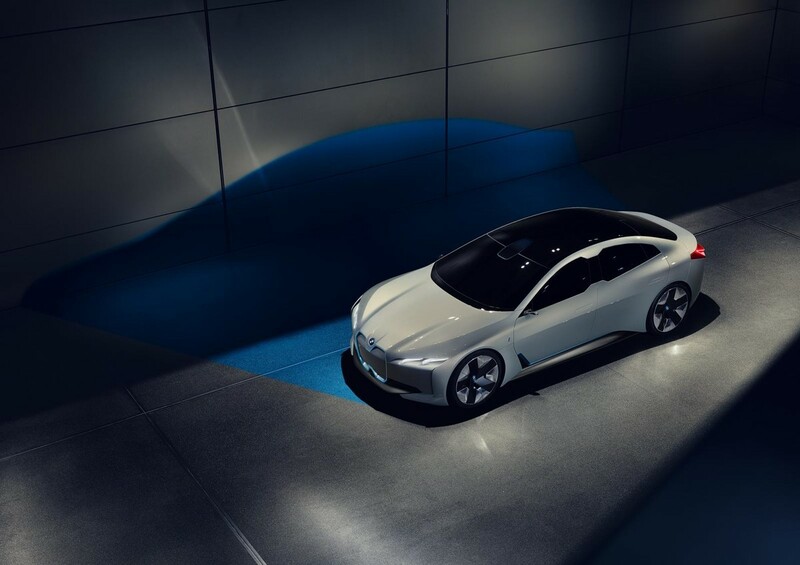 The tension between large surfaces and finely worked details points to the innovative technology at the heart of the car in an understated manner rather than advertising it in grandiose fashion, which BMW says is in keeping with the identity of BMW i: “I do more with less”. 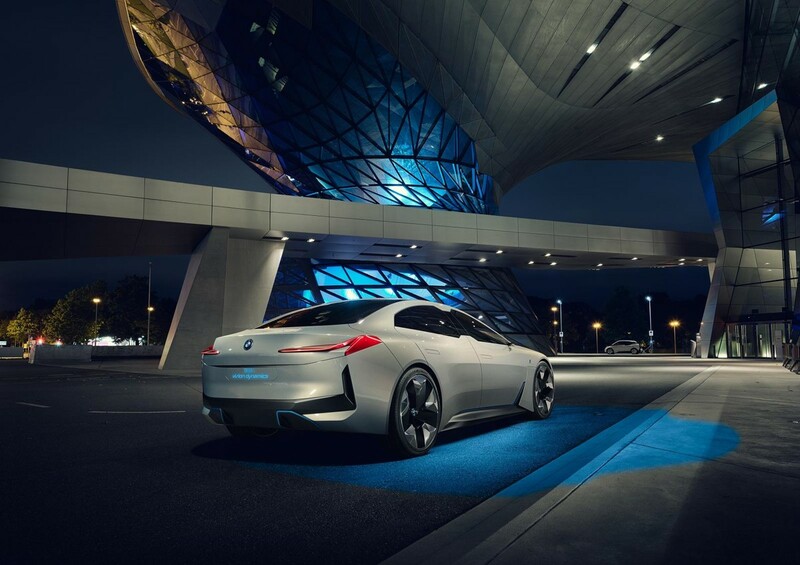 Smooth curves guide the car’s horizontal profile, contributing to a poised look, while the tapering of the passenger cell creates broad shoulders and a powerful presence. 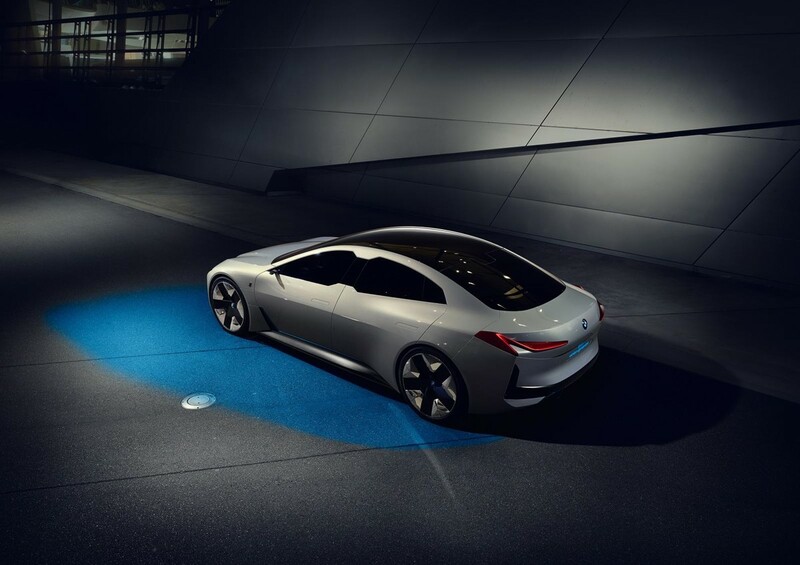 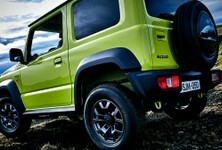 The slim-cut L-shaped lights at the rear are eye-catching. 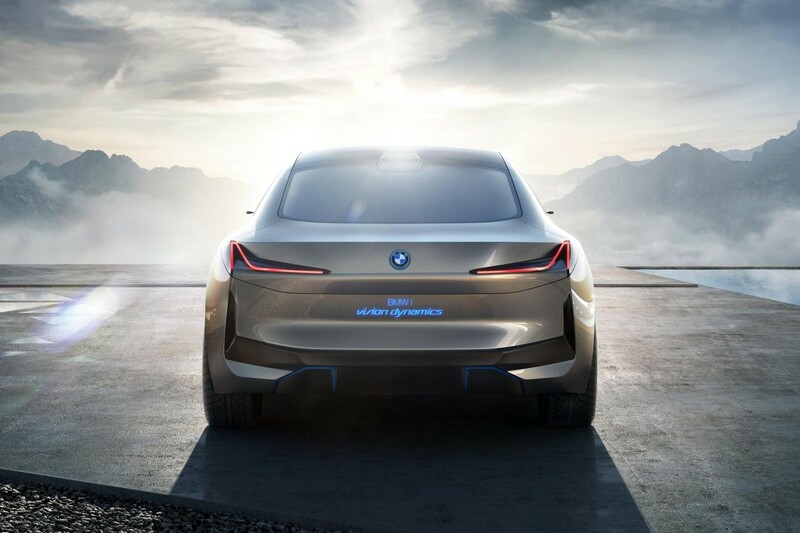 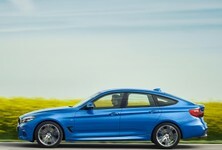 Inside, BMW has concentrated on enhancing passengers’ shared driving experiences, suggesting that this is something that will gain further importance in the future, in particular with regards to (semi-)autonomous and connected driving. 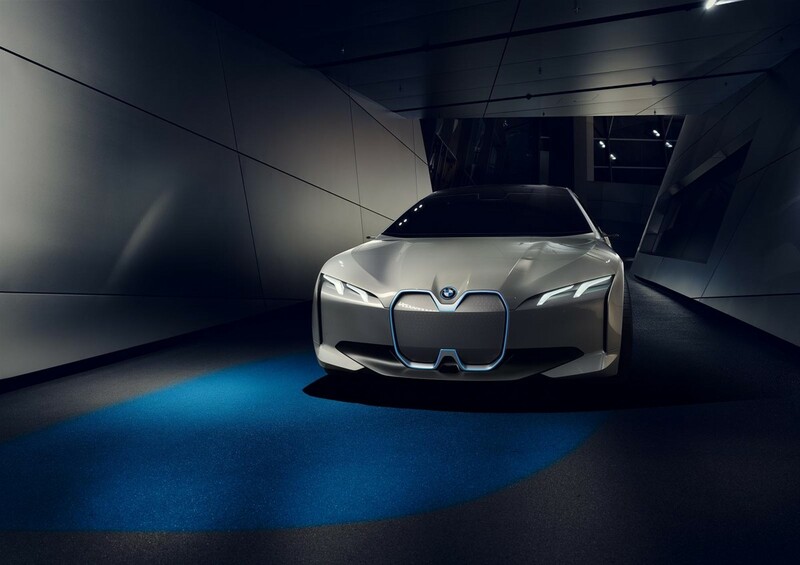 The BMW i Vision Dynamics is intended to be a trailblazer for the BMW brand, showcasing the group’s future vision for emotionally engaging electrified mobility.